One of our family’s yearly traditions is a trip to the pumpkin patch. I look forward to this day every year as it is another chance for our whole family to be together. This year we planned it so it was within the same weekend as our Fall family dinner which made it an extra special weekend! Since everyone was already in Omaha for dinner the night before we decided to try a new location this year just west of town. We were worried that it was going to be a rather warm fall day with a prediction 80 degree temp. but we planned our trip for early in the morning. It was great weather for boots and light layers. The pumpkin patch was so cute and everyone had a great time. 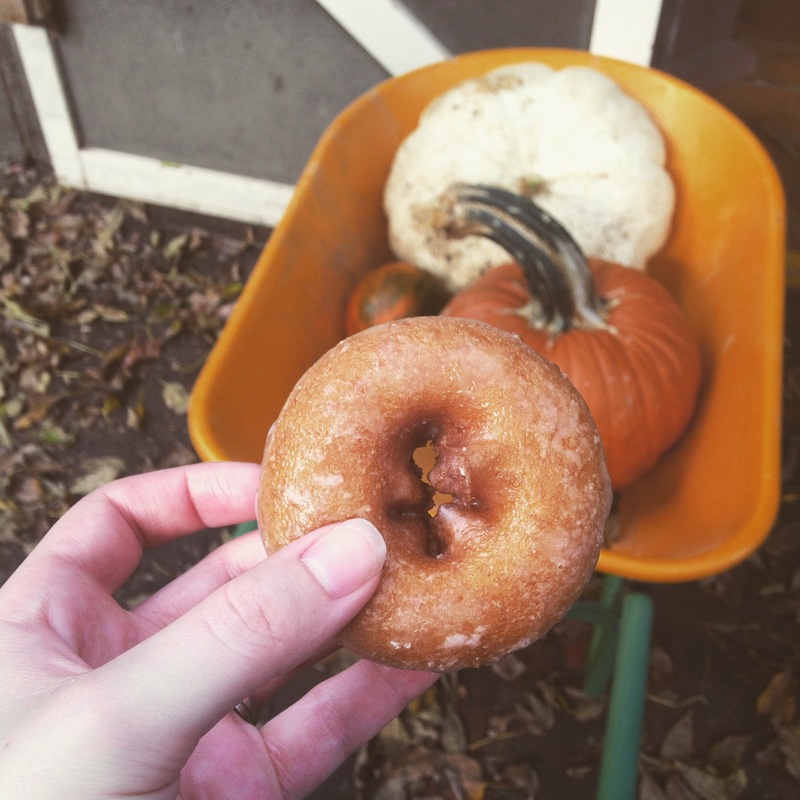 …And of course it wouldn’t be fall without having an apple cider doughnut! Such a fun treat!